Attention Deficit Hyperactivity Disorder (or ADHD) affects a huge amount of children in America today. In fact, the CDC reports that over 10% of children are diagnosed with ADHD at some point in their lives. This issue is especially common among boys, with males being three times more likely to experience ADHD. ADHD can have a major impact on a person’s life. Characterized by inability to focus, hyperactive behavior, and low impulse control, ADHD can especially make it difficult to thrive in school, and even in work environments later in life. Without proper management and coping skills to curtail the symptoms of ADHD, individuals may also find themselves commonly getting into trouble. As children grow, so does the trouble. Many people experience a reduction in ADHD problems as they grow up. Part of this is because of changing brain chemistry, and part of this is simply because as we grow, we learn to better cope with challenges that were debilitating in childhood. However, a large part of it is simply because many adults with ADHD go undiagnosed. Up until the early 90’s, ADHD was considered a childhood disorder. More and more, we’re learning that ADHD often continues into adulthood. 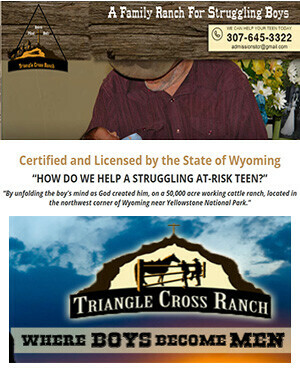 Here at Triangle Cross Ranch, we’ve spent time with many teen boys who struggle with ADHD. Often, ADHD symptoms exacerbate problems in school, conflict with parents and other authority figures, and even contributes to risk-taking behavior. We’ve found that time spent outdoors doing hard work has a major impact on ADHD symptoms. Recently, scientific studies have come to the same conclusions. In a study conducted by the University of Illinois at Urbana-Champaign, it was found that time spent in green environs helped improve focus, memory retention, and irritability for children with ADHD. This is even true when results are adjusted for socio-economic background. Working with over 400 children who had been diagnosed with ADHD, scientists guided children through a variety of activities, and then invited parents to report on ADHD symptoms for a period after each activity period. Even when children were doing exactly the same activity indoors and outdoors, it was found that the outdoor time was significantly more effective. You can read more about the study and its results here. Although medication is available to treat ADHD, many people hesitate to utilize this treatment. For one thing, treating children with medication is always a hard decision, considering the amount of variables and risks involved. For another, when people learn that ADHD could be a lifelong challenge, they usually prefer to find natural lifestyle solutions that they can use for self-management. 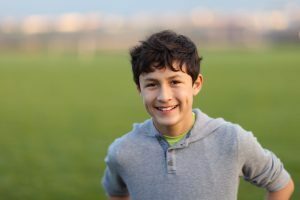 Here at Triangle Cross, we empower young men with coping techniques that can help them navigate adult life, whatever challenges they face.